This was a super fun project. I was contracted to illustrate 8 animals, in various stances or positions to communicate sports theory and strategy to kids. 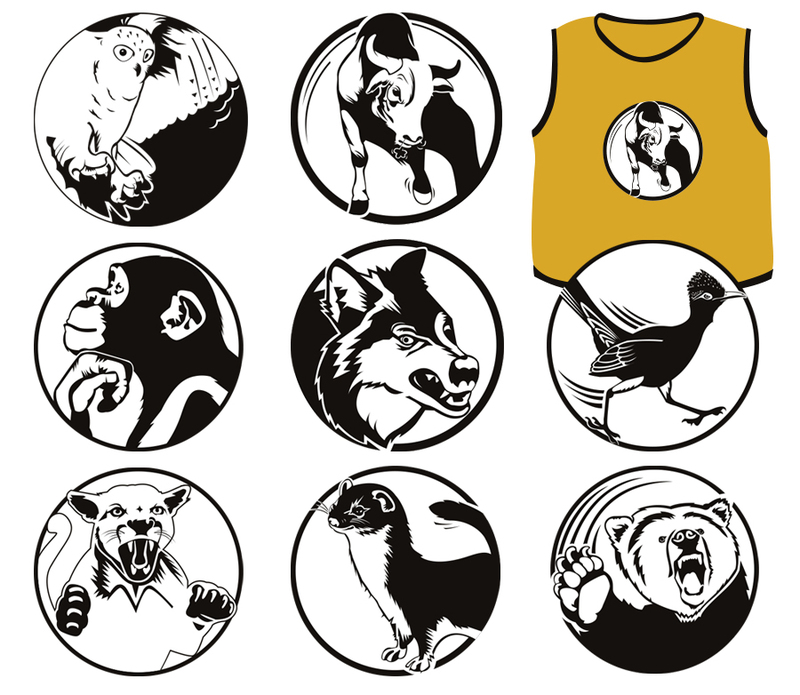 Theres an Owl, Bull, Monkey, Wolf, Roadrunner, Cougar, Weasel, and Grizzly Bear. The illustrations are designed to be screen printed on team pinnies, and also printed as stickers. Such a good project!